NEW YORK (Bloomberg) --Confirmed deaths tied to General Motors' defective ignition switches stand at 50, four times GM’s estimate through much of 2014, as a Jan. 31 deadline nears for sending in claims. The number may go higher. A total of 338 death claims were filed from August through Jan. 23, Kenneth Feinberg, who handles payments related to GM’s best-known series of recalls, reported Monday. Of those, 67 are still under review and he is working with 53 applicants who haven’t documented their requests. The rest didn’t meet his standards, his report said. Feinberg said his standard for deciding whether a faulty switch caused an accident is different from what the company used and explains the difference in findings. “GM engineers were looking for definitive proof of ignition switch failure,” Feinberg said Monday in an e-mail. His payments, he said, rely on circumstantial evidence of what caused the accident, a more lax standard of proof. “So of course there will be a greater number of eligible death claims,” he said. Feinberg will be processing and reviewing claims “well into the spring,” he said. Separately, the automaker has counted more than 150 switch-related lawsuits filed by accident victims and other owners of its older cars. Worldwide, GM announced recalls of 34 million vehicles through September and spent $2.7 billion on repairs, loaner cars and other costs of the call-ins, it said in an October regulatory filing. Feinberg, an attorney at Feinberg Rozen LLP in Washington who supervised compensation of victims of the 9/11 terrorist attacks, has received 3,038 claims from GM customers and families who had switch accidents. The value of each life lost may be $5 million to $13 million, according to a June report by the U.S. Department of Transportation. Wages and salaries account for some of the variations. The fund represents the carmaker’s effort to settle rather than litigate over faulty switches. 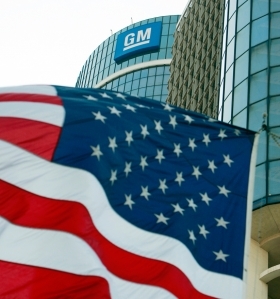 Victims taking money from GM must agree not to sue the automaker. Including deaths, Feinberg has so far judged 125 switch claimants as eligible for payment. GM CEO Mary Barra has said she will fight most lawsuits, and the carmaker has asked a bankruptcy judge to bar all remaining suits tied to faults in cars made by its defunct predecessor. In one class-action suit, car owners are seeking court permission to fight GM for as much as $10 billion in value losses and damages on 27 million recalled cars. A lawyer paid by GM, Anton Valukas, reported last year that GM for at least a decade failed to promptly resolve complaints from consumers, dealers and others about abnormal crashes in the Chevy Cobalt and Saturn Ion, and that the company later replaced the faulty ignition switch without alerting the public or changing the part number as required. The defective switches may be inadvertently shut off when jarred, cutting power to the engine and deactivating airbags.